KBC’s mission is to mobilize the church to go outside its walls to take the message of Jesus Christ into the heart of its community, which is the local public elementary school. 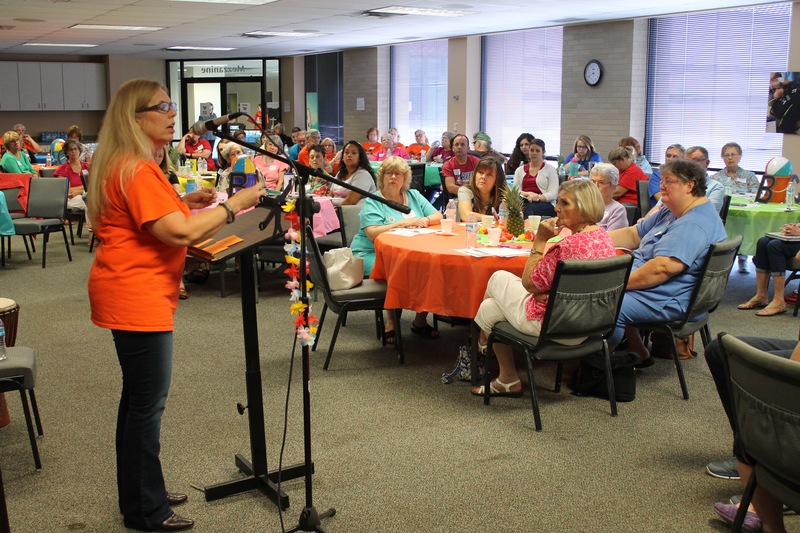 Thousands of volunteers from churches all over the country are busy preparing to kick off another year of connecting kids to Christ and putting Bibles in their hands. Leadership Luau is an event designed to equip and inspire these dedicated volunteers to effectively reach kids with the hope of Jesus Christ and present the truth of God’s word. This year’s emphasis is on igniting passion to teach kids the truth of God’s word and included practical ways leaders can weave the gospel message into every element of Beach Club. Volunteers were also reminded that Beach Clubs meet for one hour per week for 24 weeks of the school year. That’s 24 hours. It’s the equivalent of one day. Leaders are encouraged to make the 24 hours in Beach Club as impactful as possible by staying focused on our vision to give every child a Jesus experience in their public elementary school. In the last few weeks, KBC has already hosted Leadership Luau events in Andrews, Texas; Augusta, Ga.; Bartlett, Tenn.; Devil’s Lake, N.D.; Frankfort, Ky.; Richardson, Texas; and, Weatherford, Texas. -- Linda, Southaven Intermediate, Southaven Miss. -- Michelle, Bon Lin Elementary, Bartlett, Tenn. If you haven’t been able to attend a Leadership Luau yet, do not worry. KBC is hosting more Leadership Luau events in the coming weeks. Make plans to attend and register for the Leadership Luau nearest you: Atlanta, Ga.; Baytown, Texas; Biloxi, Miss. ; Ennis, Texas; Orlando, Fla.; and, Southlake, Texas. Even if you have attended a similar KBC event in the past, you won’t want to miss this event this year! For more information and to register for one of these events, visit kidsbeachclub.org/luau.